This lovely animation takes the old adage that life is like a merry-go-round and takes it literally. As an extended visual metaphor for a young girl growing up and achieving her independence it really is very well and sensitively done. Un Tour de Manege (A Turn of the Gear) shows the journey from youth to adulthood with sensitivity and frankness. 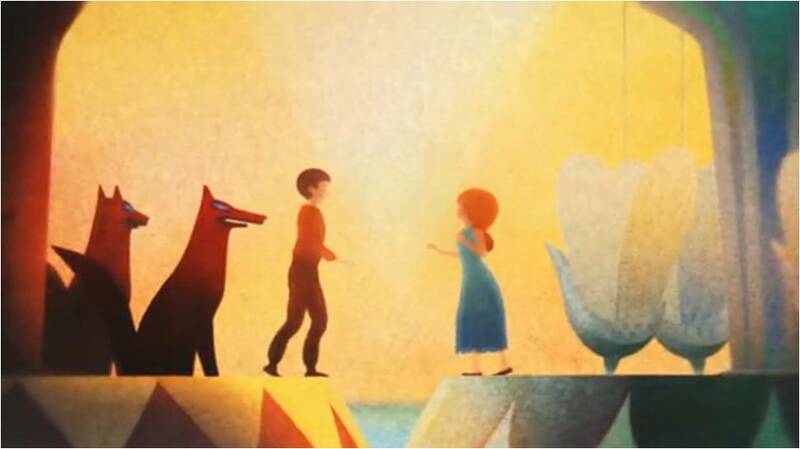 I particularly like the use of pastel colors and the symbolism (did you see the wolves when she meets a boy?). Of course, in the end, she returns safely to the arms of her mother – but look at the knowing glance that she gives to the ‘camera’!